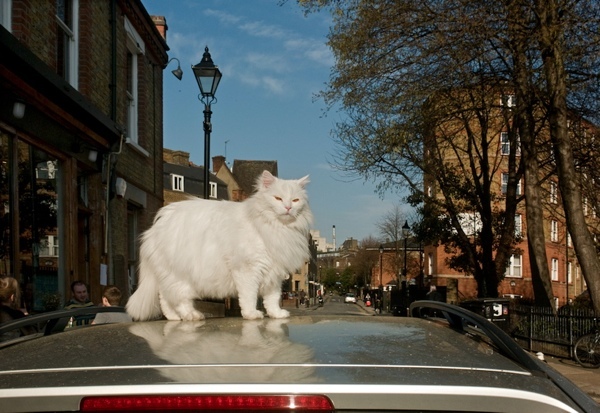 Last year, Spitalfields Life Contributing Photographer, Chris Kelly made a survey of the esteemed cats of Spitalfields, but now she has widened her horizons to include the entire East End. 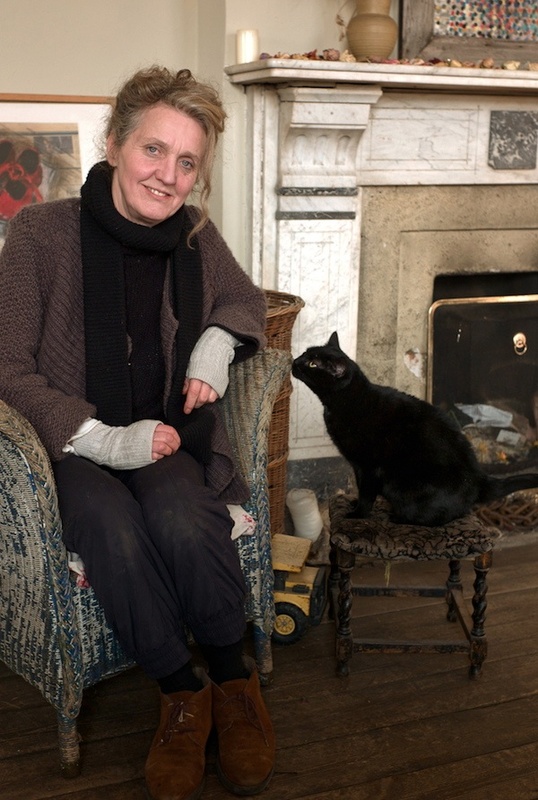 So today it is my delight to publish more of her portraits of famous cockney felines and their human slaves – from Bethnal Green, Whitechapel and Stepney. 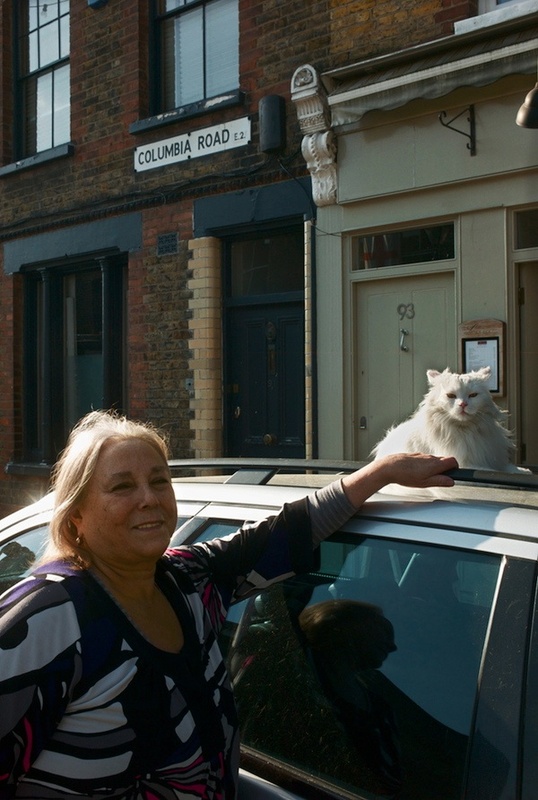 The magnificent Gilbert is a legend in Columbia Rd - pictured here with proud owner Isabel Rios. 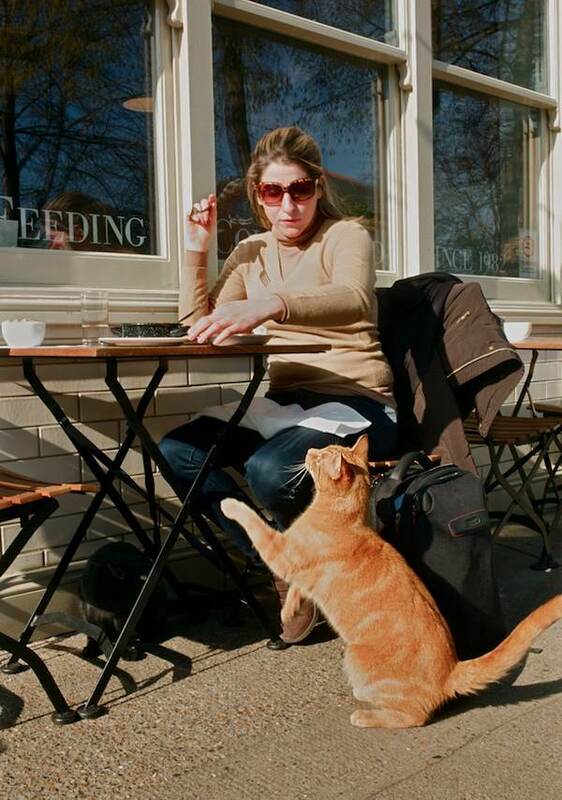 Monkey, the ginger tom from Columbia Rd. Gilbert at Laxeiro with Leo who has worked there many years. “Weʼve had Gilbert about five years. He belonged to our neighbours but would always come mooching along the street to see us – he likes the company. Then we looked after him once when his people went on holiday and he didnʼt want to go back home. They even tried to keep him in, but he was scratching at the door all day. So we shared him for a while but he just wanted to be here. Eventually, they moved to Scotland and asked us if weʼd like to keep him. Molly was seventeen years old on 21st December 2012. “Iʼve never been a cat lover but you could say Iʼm learning to love them. 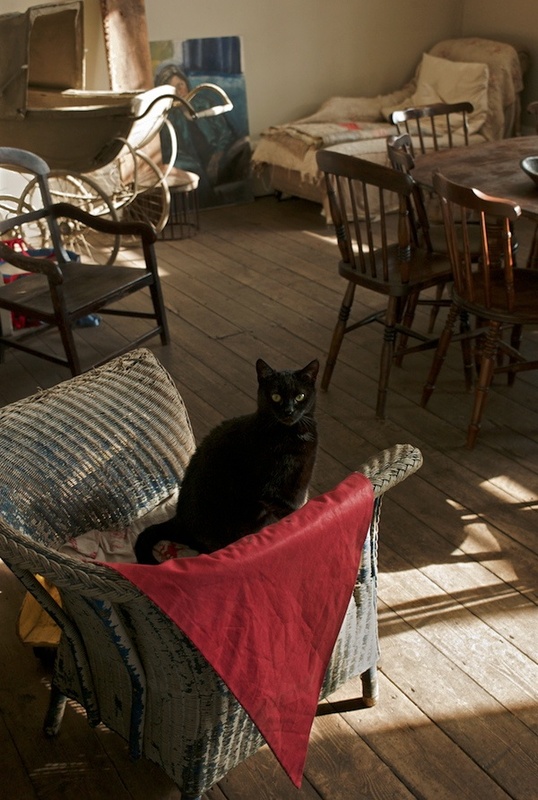 The cats came with the pub – when I took over they were on the inventory under pest control. There were two – Molly & Pip, brother & sister. There used to be a big rat problem but itʼs becoming cleaner now. A few years ago, when I was living here on my own, the alarm went off during the night and I was scared. 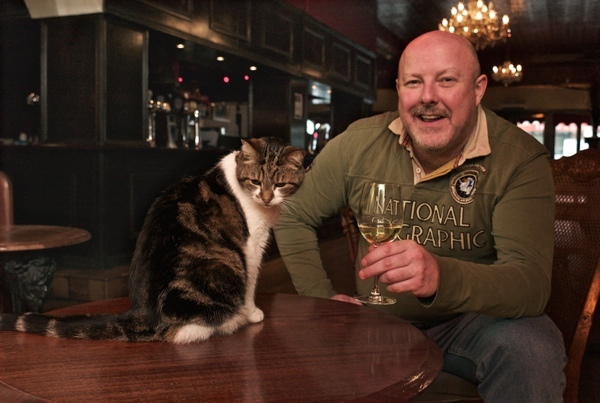 I grabbed Pip – he was a big cat – and went down to the cellar with him under my arm. There was a pile of newspapers in the corner and a huge rat leapt out. So I squealed and dropped Pip who shot back upstairs. They were both good mousers when they were younger. 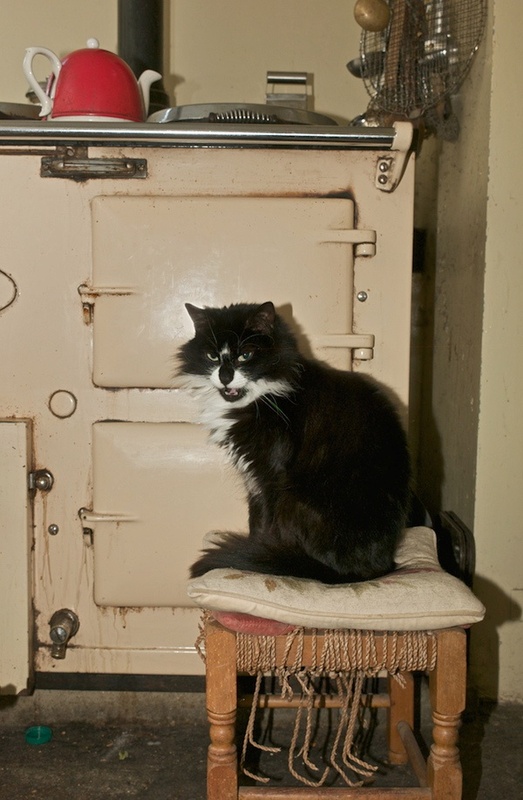 Sadly, Pip died before Christmas and Molly missed him for a few days, she would look round the places where he used to sit. 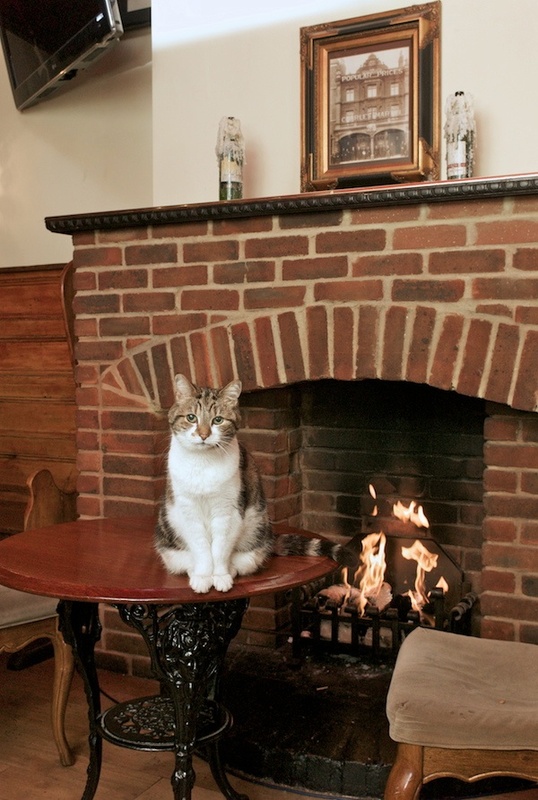 She was seventeen years old on 21st December, and now her favourite place is in front of the fire and she doesnʼt do much mousing. In summer, she goes in the garden and watches the fish in the pond. Spider likes culture and attention from film crews. “I used to have three canaries here. I love to see birds flying around and when they sang I remembered the dawn chorus in the countryside where I was brought up. They used to sit on my hand and on my shoulders. But we have film crews in here for location work and they would open the windows, so one by one we lost the birds. The last to go was Muffin. Then, because Iʼd been leaving seed around for the birds, the mice moved in. They were getting far too familiar, running across the beams over my bed at night – which meant I had to find a cat to kill the mice. Fortunately, a friendʼs cat in Cable St had just had kittens so we got one of those. Tiddle was a sweet looking cat, but one day he disappeared – we put up reward signs everywhere but we think someone took him. 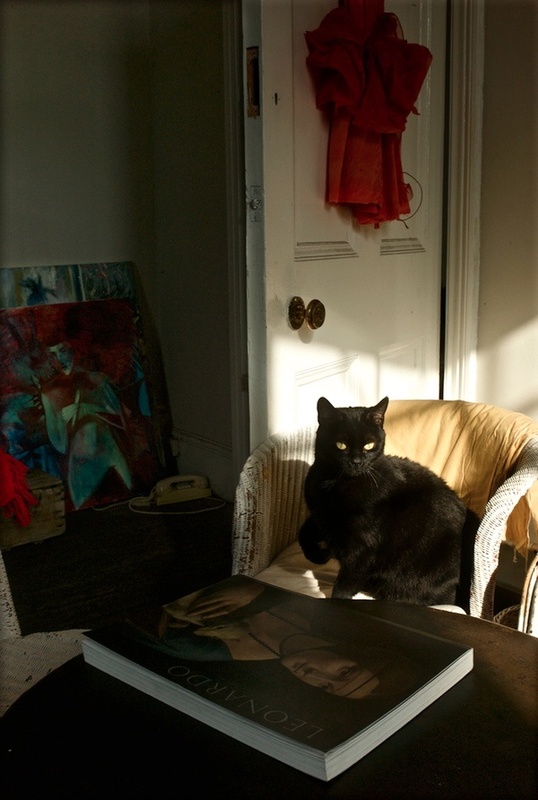 Next we had Luna, a big cat found scavenging in Sidney St when one of the children took her in. 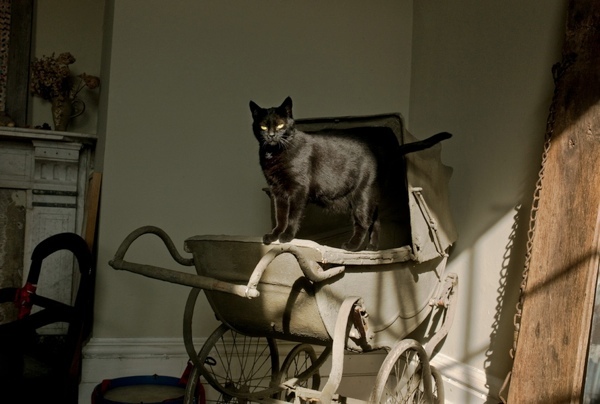 She was a really scary cat, she looked totally mad – thatʼs why I called her ‘Luna.’ She had kittens and we kept one, thatʼs Spider. When Spider had kittens, we kept one of those and thatʼs Professor. One of Professorʼs siblings went to Amy Winehouse. She called it ‘Bleeder’ and I think she gave it to her niece. We’ve got a black called Spider, she’s also ‘solid and greedy’. Another fabulous line from that lovely film is the better known “It isn’t Jesus, it’s just a fella”. Oh I love that film. 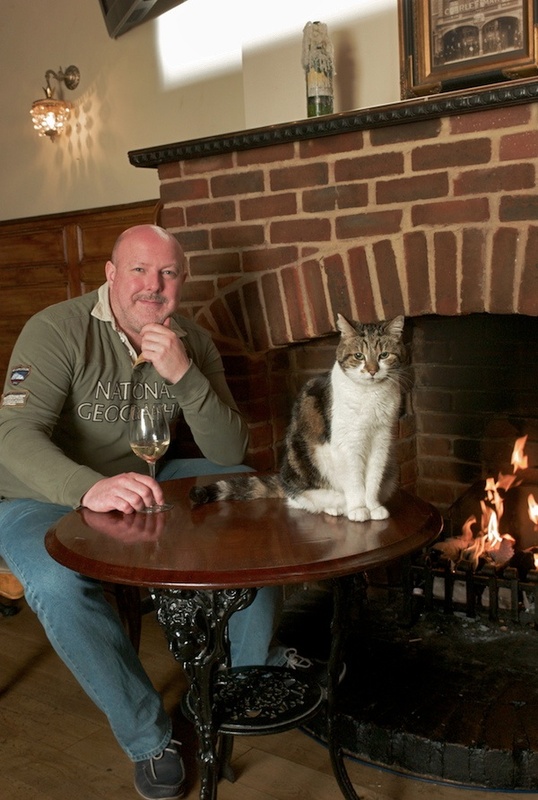 Lovely cats by the way, have just sent Gilbert a friend request on Facebook. My inner cat is purring! My real cat is jealous. 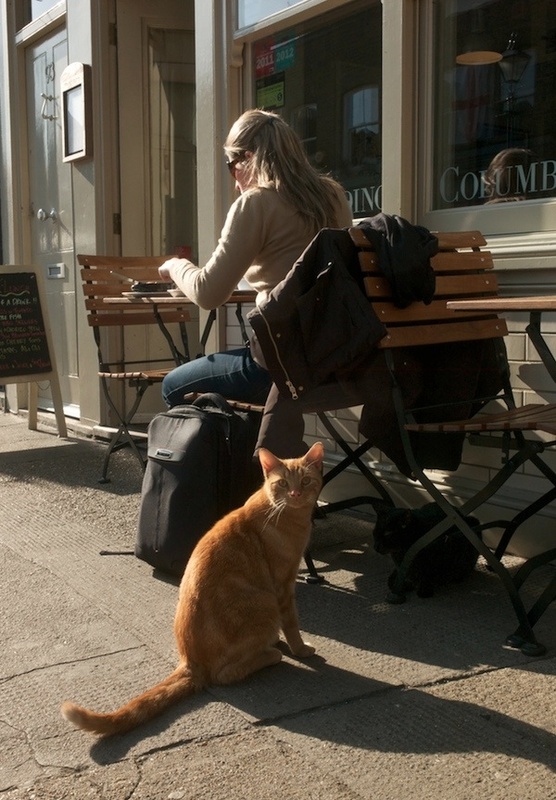 There’s nothing better than a good neighborhood cat (or two, or more). Love all of these photos. In case anyone is wondering why he’s called Gilbert we had two cats so we named them Gilbert & George in honour of the legendary local artists. George now lives in Edinburgh whilst Gilbert lives a blessed live in Isobel’s fantastic restaurant. obviously beer agrees with these cats! but where is the lovely guy from the pride of spitalfields? I see three cats in the photo of Alice and Monkey. There’s a black cat lurking in the shadows under the table. What a lovely bunch! A good reason to go to the East end.